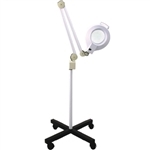 Facial lamps and magnifier lamps form an integral part of salon and spas that offer facial treatments like microdermabrasion. 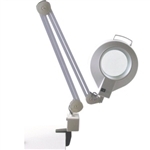 They come in different lumen power and magnification with an assortment of mounts to go well with the interior layout of your salon. 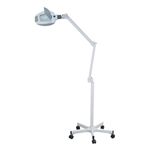 The portable facial lamps come with a heavy base and a 360 degree swivel so that they can be placed anywhere and turned to light up the desired side of the face. Certain types of facial lamp are used in tanning beds. These facial lamps are designed to use reflectors to give the client's face optimal exposure to the ultraviolet rays from the tanning bed.